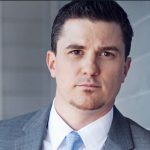 Jason Stapleton: The Global Banking Crisis Will Sink The Economy Further Down - Wall St. for Main St.Wall St. for Main St.
Wall St for Main St welcomes Jason Stapleton, who is a currency trader, libertarian podcast host and founder of Trade Empowered. 1. We went into Jason’s background and discussed how he became a libertarian and a currency trader. As a former U.S. Marine Corp, we also looked at how the U.S. foreign policies has caused more instability in the Middle East and a hotbed for extremism. 2. Jason give advice to people that are hesitant to try currency trading and how they can master it with a good systematic approach. Plus we looked into the current state of the currency market. 3. What will be the outcome for the money printing to keep the banks from going bankrupt in the U.S., Eurozone and in China? 4. The Federal Reserve decision not to raise the rate. If you look at the big picture, it is easy to understand why they can’t raise rate. 5. The current state of the Libertarian Party and how they missed their golden opportunity to increase exposure on the idea of liberty and free market.